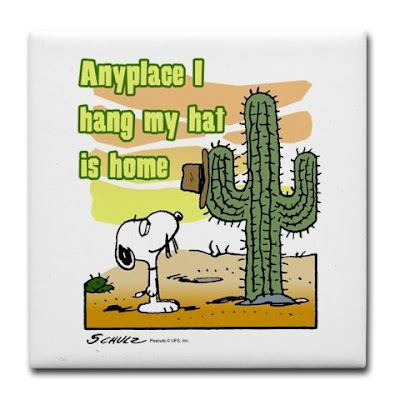 For some reason when I think of cactus I picture Snoopy’s brother, Spike, from the desolate California town of Needles– his scruffy whiskers and the name “Needles” says it all. Plus, every time you see Spike, he is walking among tall cacti in the desert. 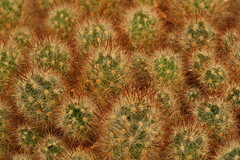 So, goes my first memory association with the word and spines of a cactus patch. After gingerly standing myself up from the patch, and hearing each of the guys around me ooh and whoa at the numerous points sticking out of my pants, I limped to the truck to remove what I could. Soon, I was standing with my pants down, picking out tiny needle after tiny needle from my left cheek. But I couldn’t get to some of them. There were bigger spines stuck deeper than others. Enter my long time friend Mark. Mark and I go back almost twenty years. In college my buddy Tad – who is now a Russian Orthodox Priest, 1st of the left HERE - and I would drive down from Boulder to Buena Vista for the weekend to help Mark build his beautiful log home by hand. They were good times of a days work in Rocky Mountains as Fall blew in from the North. From there he left me to my own while the other guys finished up work. I crawled into the truck, pantless and picked the remaining cagillion cactus bits out of my pants… laughing at the absurdity of the whole event. Driving back to the office – me in my underwear – they made joke after joke about my situation. ”Hope the cops don’t pull you over on the drive home. Try explaining driving in only your underwear.” Unknown to them I had red flowered surf trunks in the back of my car and so would only look half as ridiculous as that. So there. I made my way home – looking more like I was heading to the beach than in the mountains – and sitting half-tilted in the driver’s seat thinking about Snoopy’s brother and what a laughable space I occupy in life. There is no room for taking myself seriously.